Vampire Vape was established in 2012 and went LTD as Flavour Warehouse LTD in 2013. Although Vampire Vape is the biggest most recognised brand we manufacture over 20 different ranges. We started with 12 flavours and we regularly trial & release new flavours which has seen our standard range grow to 54 flavour options. We continue to develop new ranges & flavours behind the scenes to keep our flavours in line with current trends, whilst also thinking outside the box. Every product that leaves our facility has a sample stored for 15 years that relates to each batch for future testing. We have traceability for each bottle from the time/date manufactured and the machine used, down to the ingredients which relates to a batch of nicotine, flavouring, PG and VG. The batch of nicotine can also be traced to the source using the batch ingredients up the line. We have three clean rooms and an extensive facility specifically designed for the manfucture of e-liquid. We have 2 full time flavourists and manufacture flavours for hundreds of companies in the UK. The Nicotine, PG & VG are all pharmaceutical grade and the flavours are all food grade quality & suitable for e-liquid use. A sweet and sour apple flavour.PG Based Flavour Concentrate to be used only in E-Liquid. 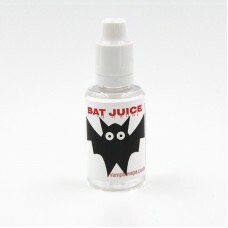 Dilute to s..
A creamy blend of banana and toffee for those with a sweet tooth.PG Based Flavour Concentrate to be .. It's a secret recipe that's full of fruity berries with a subtle aniseed twist.PG Based Flavour Conc..
A mix of all the sweetest and juiciest summer berries.PG Based Flavour Concentrate to be used only i..
Juicy mixed berries with crushed menthol cyrstals.PG Based Flavour Concentrate to be used only in E-..
A cool black jack and ice menthol mix with a big hit. It is advised you use a glass tank!PG Based Fl.. Perfect sweet treat with a retro flavour - it is advised to use a glass tank!PG Based Flavour Concen..
Full juicy sweet blackcurrant flavour - just like the blackcurrant chews.PG Based Flavour Concentrat.. Blood Sukka comes with one hell of a bite! A combination of cherries, berries, red fruits, sweet euc.. Subtle fruity flavour on its own or great mixed with cool menthol.PG Based Flavour Concentrate to be..
A childhood memory of fruity bubblegum that never loses its flavour.PG Based Flavour Concentrate to ..
A sweet vanilla base that is great mixed with other sweet flavours or simply on its own.PG Based Fla..
A top secret recipe that can only be described as the DADDY of all vapes. 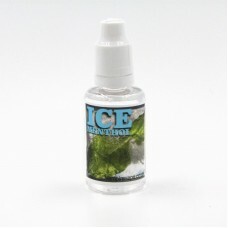 A fruity undertone and a c..
Minty and cool and refreshing.PG Based Flavour Concentrate to be used only in E-Liquid. Dilute to su..